Born 22 May 1999, Freya is the first champion we bred. 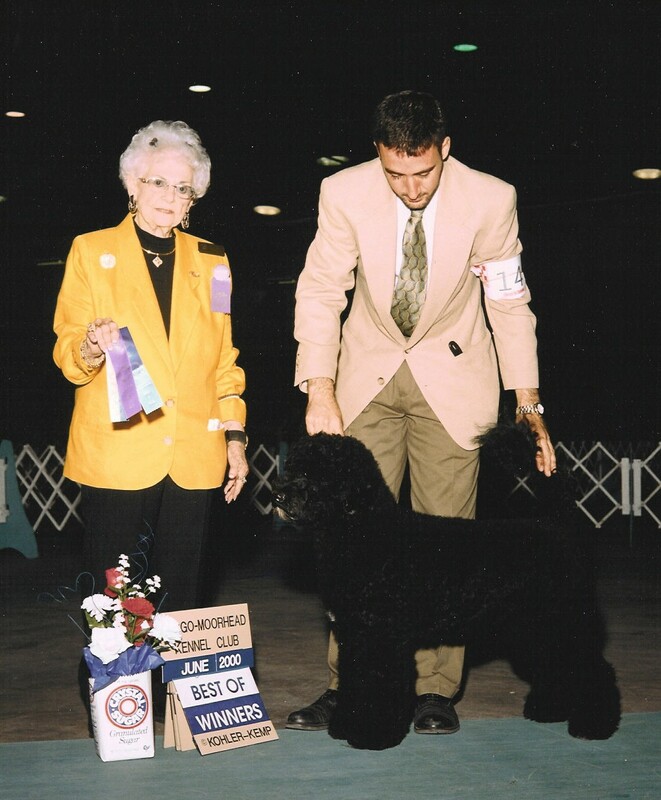 She finished her AKC championship as Best of Winners with a five point major at the Minnesota Regional Specialty in September 2000. During 2003, Freya was bred to Ch Driftwood's Light My Fire (Jimmy) producing her first litter of puppies. In addition, Freya earned her first water title in 2003. SaltyDawg PWDs introduces their first CHAMPION!